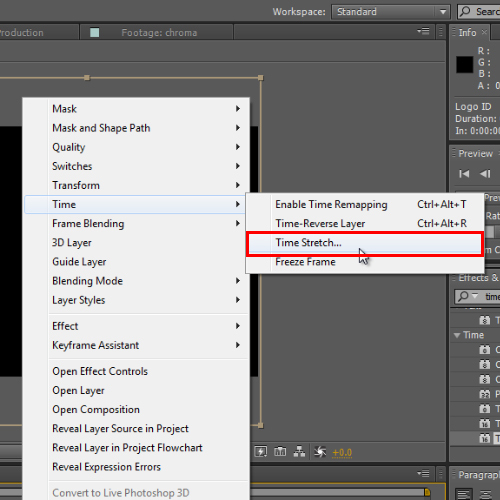 Right click on the layer and select the “time stretch” option from the time menu. When the dialog box opens, you will see the stretch factor field. Any value given into this box will be counted as % of speed decreased and increased from the real time value of the composition. Increase the time stretch to speed up in After Effects. In this tutorial, we inserted “200” in the stretch factor field and the new duration gets doubled; original 30 seconds get doubled to 1 min. If we insert 50 in, the time will go down by half i.e 15 seconds. 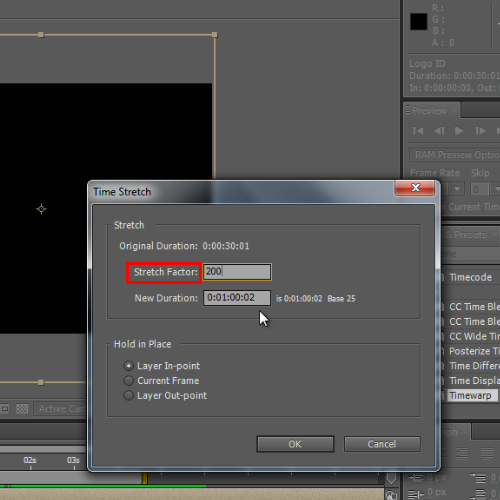 There is also another way to do so via the time warp in After Effects. First, revert this composition to the original value and apply the time warp video effect by visiting the effects menu and configuring its Speed as 100. This will also stretch the motion time of the animation from the composition. You can also animate the speed of the composition by clicking on the stopwatch right before the speed option. Once done, place the key frames accordingly. Now hit 0 from the num pad to preview the ramp. 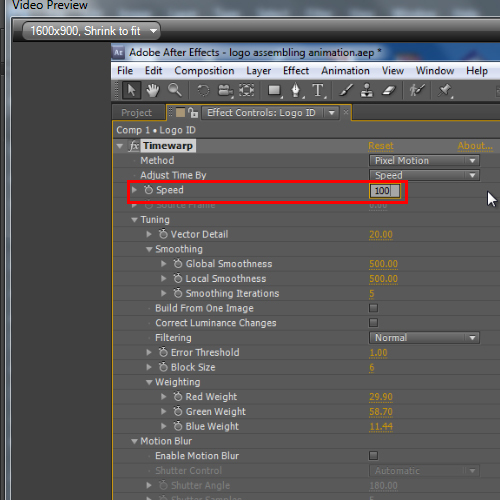 In this manner, you can speed up your composition in After Effects using the time warp video effect.